Now in its 34th year, the highly popular Bury St Edmunds Festival will take place at entertainment venues and spaces across the Suffolk cathedral town from Friday 17 to Sunday 26 May 2019. Enjoy 10 packed days of great music, theatre, comedy, film and other art forms, with top performances by artists of international renown alongside home-grown talent. 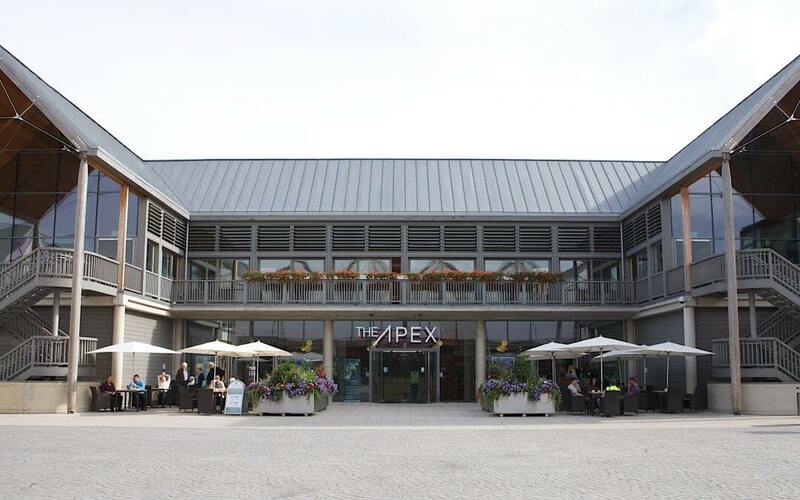 Venues range from The Apex (shown here) and the Theatre Royal to St Edmundsbury Cathedral, the Abbey Gardens and Moyse’s Hall Museum.